Not sure how to babywear? The wraps, the buckles, the straps…oh my! How do you put this baby carrier on?!? I remember feeling this way when I tried one of my first baby carriers. It was a stretchy wrap, which is basically a long piece of fabric that you wrap around your body until somehow you’re able to carry your baby around securely. It was totally intimidating at first, especially when I was trying to follow the instructional booklet. I mean, the wrap was longer than my body yet I somehow had to get it small enough to safely snuggle my baby. After a while and a lot of practice, I was able to put the wrap on without having to even think about it. New to babywearing? Don’t feel intimidated! Anyone can learn how to babywear! Will you be able to babywear by learning some magic trick? No, but if you follow these tips to learn how to use your baby carrier, you’ll be like a pro in no time. This is seriously the most important tip I can give you. Want to start babywearing but don’t know what to start with? Start doing some research, ideally before your baby is born, but if you already have a baby or toddler, no biggie! You can start babywearing at any time. As you’re doing your research, think about HOW you would like to carry your baby. There are carriers that use a variety positions, but some only use one or two positions. Also, consider HOW LONG you’d like to be able to use the carrier. Each type of carrier has a weight limit to consider. You should also think about WHO will be using the carrier and what your BUDGET is. HOW: How you want to carry your baby will help determine what kind of carrier you want to use. You can wear baby carriers in a variety of ways, depending on the carrier. There are front carries, front facing carries, side carries, and back carries. It’s also important to note that some carriers have specific guidelines for certain ages, especially for newborns. HOW LONG: Carriers have a weight limit, which will determine how long you’re able to use them. For instance, many stretchy wraps can only be used up to 30-45lbs. Some soft structured carriers (SSCs) in standard sizes can be used from 7lbs-45lbs. Toddler SSCs can go from 20lbs-60lbs. It depends on the brand and materials used. WHO: Will it just be you who uses the carrier, or your partner as well? Will a babysitter or grandparent be using the carrier? You need to think about anyone else who might be using the carrier too. Some carriers are better than others when it comes to the size of the person wearing them. I highly suggest watching some how-to videos related to different baby carriers to see them in action as well. Sometimes seeing carriers in action gives you a better idea of how you’ll use them. 2. Buy, Rent, or Borrow a Baby Carrier. While most people outright buy their baby carrier, many others choose to rent or borrow a carrier. If you have any friends or family who use baby carriers, you may be able to borrow theirs for a while or until you decide on which type of carrier is right for you. You can also rent a carrier through an online shop (Google ‘rent a baby carrier’ for a list of options) or through a lending library. See a list of lending libraries by state. 3. Read the Manual. Watch the Videos. Get Hands-On Help. Once you choose your carrier (or carriers…Hey, can’t blame you!) you should practice using it to help you get the right fit. Start by reading the manual. Seems simple enough, right? The manual should have photos and text to give you an idea of how to use the carrier. If you can’t follow the manual (some are kinda hard to understand), watch some videos on YouTube. I found how-to videos very useful when I was using my carriers for the first time. For instance, when learning how to use my wrap carriers, I watched these videos for help. Babywearing International also has excellent online resources for those new to babywearing. Other helpful online sources are babywearing groups on Facebook (two examples are Tula Love and Lillebaby Love) where you can post pictures of yourself using the carrier and ask for a ‘fit check’. People in those groups can give you tips of how to get the best fit using your carrier. Do a search on Facebook and you’ll find these groups and more. 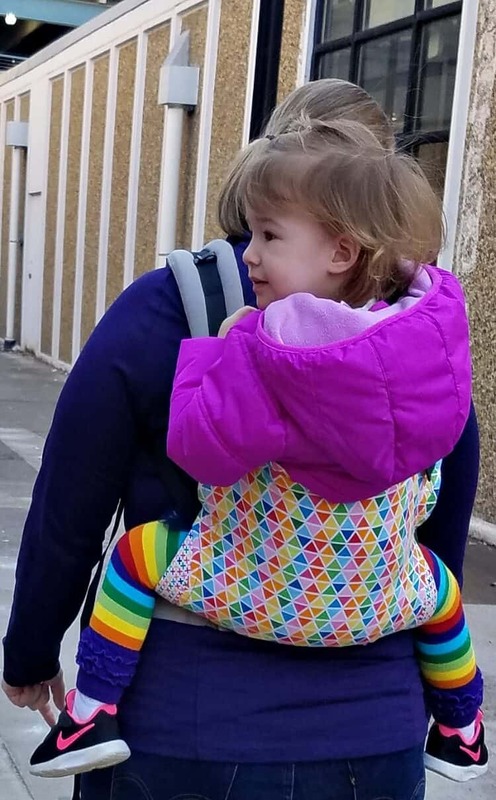 If you need more hands-on assistance, search for a babywearing group near you where you can go and learn from an actual person how to use your carrier. You may also get help from a baby boutique that specializes in baby carriers as they sometimes are babywearing certified. Once you have it figured out, time to practice! How do you practice? Use your baby carrier often! The more you use the carrier, the easier it will be to use it! Ready to Learn How to Babywear? What do you think? Ready to tackle the front wrap cross carry? How about a hip carry? Or, my current favorite, the challenging back carry? Remember: don’t be intimidated, and most of all, DON’T GIVE UP! I know how frustrating it can be when using a baby carrier for the first time with a wiggly little baby. You might think that you wasted money or that you’ll never use the baby carrier again. But please, don’t give up! Give babywearing a chance. 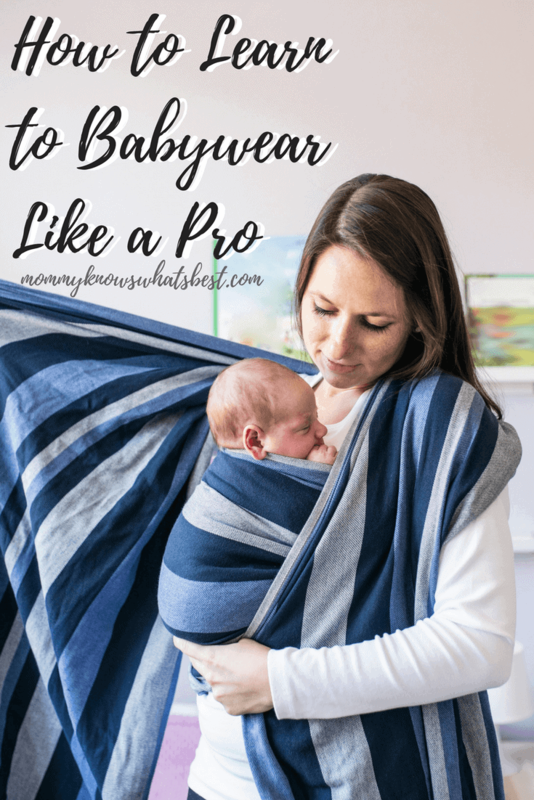 These are the exact steps I took when learning how to babywear, and they have helped me so much to be a confident babywearing mom. 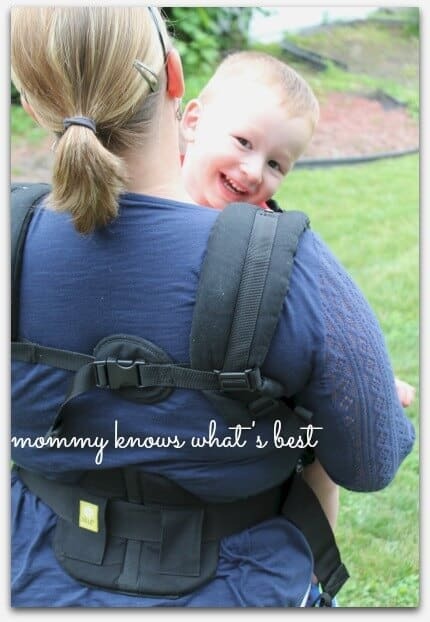 By researching what kind of baby carrier is best for you, practicing with your carrier, and using your carrier often, you can learn how to babywear like a pro! Want to be an actual certified pro at all kinds of baby carriers and all kinds of carries? Become a babywearing educator! You can take classes to become a babywearing educator through several sources, but I suggest going through Babywearing International or The Center for Babywearing Studies. You’ll learn babywearing basics for all kinds of carriers, plus best practices, safety guidelines, and advanced carries. If you’re a nurse, doula, midwife, childbirth educator or even just a new parent who wants to know everything about babywearing, I highly suggest becoming a babywearing educator! Thank you so much for making this post. My daughter is 3 months old and I have already tried 3 different baby carriers that I did not like. I have been looking for the perfect one and this post is going to help me a ton. You’re very welcome! Best wishes for finding the right carrier for you! I love that there’s so many carrier options now. Whether you prefer a wrap or a harness carrier, so can find the perfect way to go hands free! I didn’t know there was any such thing as a babywear educator. My son could teach it after having a 4 year old and then twins. He would wrap both twins on his body so he could cook and entertain his 4 year old. I look at it as knowing how to do different things with a scarf. I’m not good at that either. 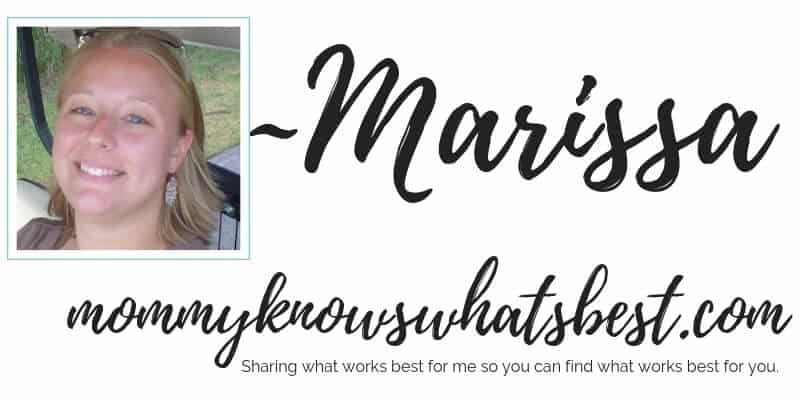 Hi Marissa, thanks for sharing! It’s an overwhelming babywearing world out there but you’ve made it simpler for us to find just the right information we need. I enjoyed looking at your pictures and I’ve learned a lot!